[From Saturday, March 24] Gathering for the March in front of SF City Hall. Must admit I’m a tad verklempt at the energy of it all, the young people voicing a higher purpose. Kind of makes you think there might be hope for us after all. That we make terrible mistakes but that there’s some larger, timeless energy that resides in us – all of us as a whole – that somehow keeps us moving upward. Damn. There’s a lady writing in chalk on the sidewalk: “vote them out.” Oh yeah. 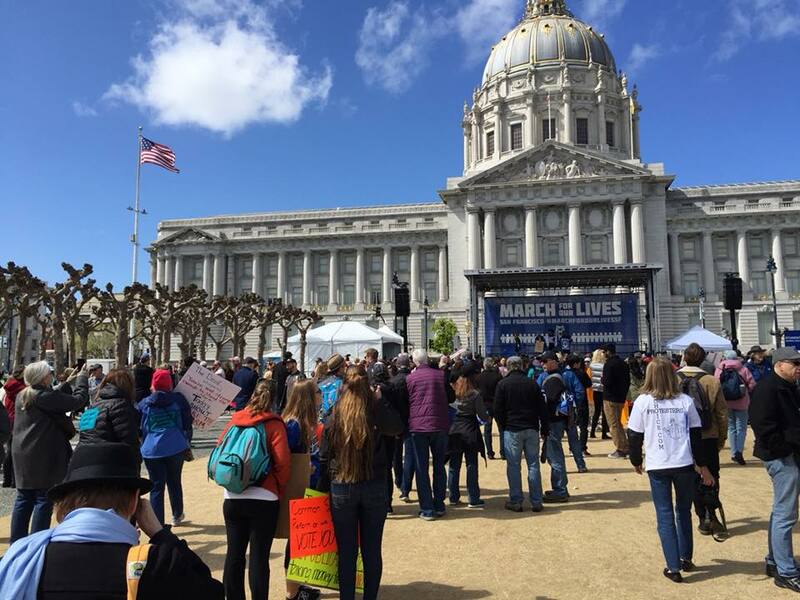 This entry was posted in Uncategorized and tagged march for our lives, sf. Bookmark the permalink.